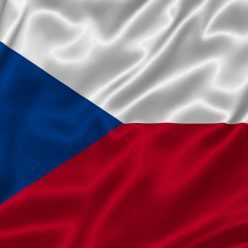 Many people have changed the face of the Czech Republic over the years. Rarely any of them however had such an impact on the country as one of its presidents, Václav Havel. Havel first served as a president of Czechoslovakia between the years 1989 and 1992 and later became the first president of the new Czech Republic when he took on the position and held it for 10 years, from 1993 to 2003. Václav Havel was born in 1936. He came from a powerful family – his uncle Miloš Havel, for example, built one of the biggest film studios in Europe. Havel studied at the Faculty of Economics but didn’t finish his studies. He married two times. Havel died in 2011 at the age of 75. Havel was not only a statesman and a president but also an accomplished writer. He mostly wrote theatre plays which could be characterized by its satirical criticism of communism and world in general. His work includes plays such as The Garden Party, The Memorandum and The Audience. He also wrote essays which were connected to his political work, poems and non-fiction books. Havel has been hugely popular among people. He has been voted the third greatest Czech who has ever lived. He has met many important people, for example Barack Obama and Dalai Lama. He supported the civil rights of each individual. Havel was awarded multiple times for both his political and literary work, he for example received the International Gandhi Peace Prize in 2002. Since his death, a story of his work and influence has been dramatized in film and TV, most notably in the TV show České století (Czech Century).